We’ve always heard about raccoons eating people’s sweet corn, but have never really had a problem. They would eat an ear here or there, but not too much. This week we learned what raccoons can do to sweet corn. We went to pick some sweet corn that we watching closely and it was going to be just about perfect! Apparently it was perfect, because in a 1000 foot row of sweet corn, we found 13 ears 😦 The raccoons had decimated the patch! On a more positive note, the tomatoes have started to come on like gang busters. It’s looking like a beautiful crop! This kind of production usually begins earlier in the year, but the wet spring delayed pretty much everything around here. At the farm, we like to say “We may not be the first, but we’ll be the last,” which isn’t a good motto for a sprint, but we like to think of this a marathon and we know we can be there at the end. I want you all to know that we talk about vegetables, fruits, and managing vegetables and fruits daily in our house. This is probably not a surprise, but you need to know that we talk about them in the dead of winter, on date nights (in winter), while shoveling snow, at family gatherings, and anywhere else you can imagine. Just in case that is not enough vegetable talk, I worked at the Butler County Fair last week as superintendent of the horticulture crops. I’m happy to say that we had more vegetable entries in this year’s fair, than the past 5 years I have been there. We also had fun at the Dwight Czech festival over the weekend. In addition to games, food, water slides, and a car show, we participated in the parade at the end of the weekend. This year, we took the little tractor and water wheel transplanter. 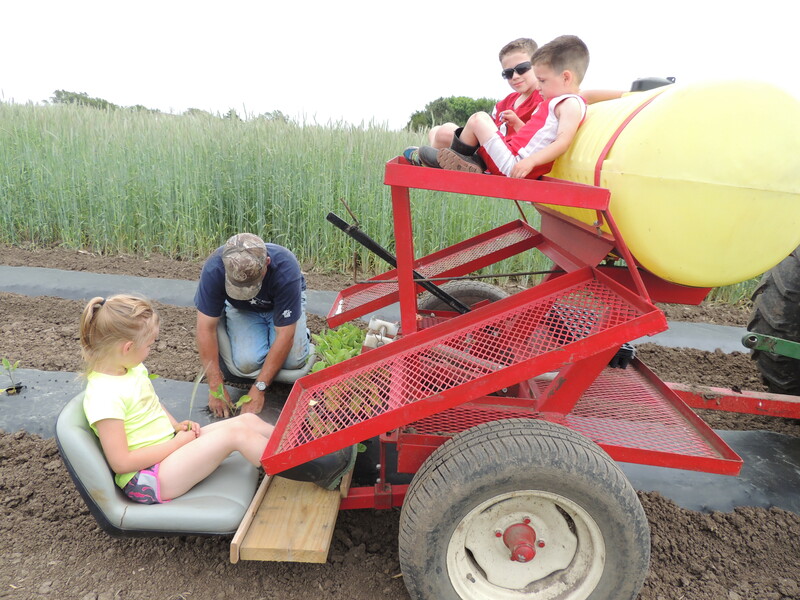 The kids rode the transplanter, Ryan drove the tractor, and Joel (dressed in a carrot costume) and I walked along. As any good parade float does, we threw out tons and tons of candy. But if you were lucky enough to be at the parade, you will know that we also threw okurky (or cucumbers for you non-Czech speaking folks) – and I mean threw. Hope you all have a great week. Enjoy the produce! I am happy to say that this week you will all be receiving sweet corn! Unfortunately, here is where we apologize in advance. After this week, it looks like the sweet corn will be a little spotty for a bit. This means that half of you may receive sweet corn one week, while the other half of you receive a different item. We will track this closely and make sure that it all comes out evenly, so please be patient. Last week’s heat was hard on everything on the farm – including humans. The crew has been starting at 6 am for a while, trying to beat the heat and water is everybody’s and every-plant’s best friend. We are continuing to move pipe this week to set up more irrigation. For those of you familiar with the movie, Finding Nemo, irrigating follows a motto from Dori: “Just keep swimming, just keep swimming, just keep swimming…” From this point until fall, we basically run irrigation all day, every day – from every hydrant and pump we have. We think about what we can irrigate overnight, how far we can push water, and we live by alarms that we set on our phones to tell us when to turn off irrigation and move pipes and hoses to a new home. If you didn’t know it, Ryan thinks growing hay is fun. 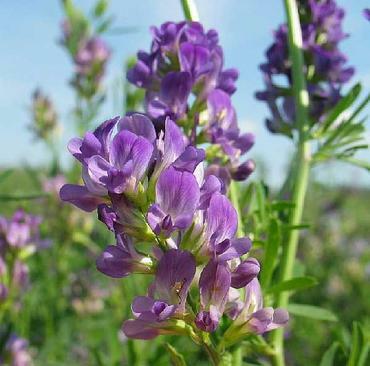 Honestly, the alfalfa is very pretty – especially the pretty purple flowers! We’ve baled two times so far and been rained on each time, but it looks like third cutting hay is going to be short, so as usual, as soon as the rain stopped, we need more rain. 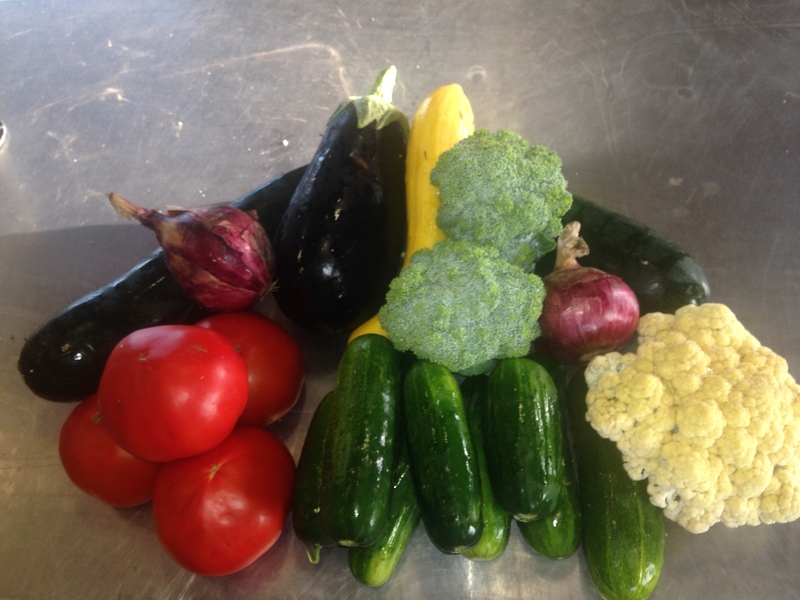 This week, we set cabbage, broccoli, and cauliflower. 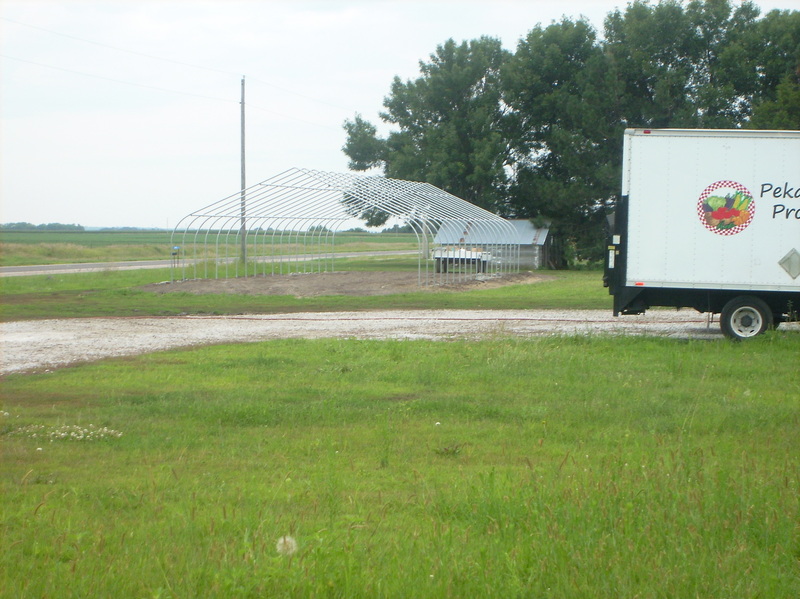 We put out 110 trays (72 plants per tray) and filled up 2/3 of an acre, or so. If you are looking for a fun activity, you can come hoe purslane with us (ha ha!) as this is an ongoing challenge. The pumpkins are late due to a late start and funky weather, but they are gorgeous. The pepper crop doesn’t look so good. The weather has been pretty much backwards for what they need. Finally, you can come visit us at the Dwight Czech festival this weekend. There is a road rally Friday night, Sand Volleyball tournament on Saturday, a car show Sunday morning, Bohemian food at Dwight Assumption from 10:30 am – 2pm, kids games outside, a train ride for children and kids at heart, a parade at 5 pm with copious amounts of candy ANNND a surprise treat being thrown from the Pekarek’s Produce float. This week we are introducing our newest crew member: Tater. She is a 10 week old beagle-lab mix that is not even as big as our boots. Tater instantly found her place on the farm among the potato patch, although she finds that carrot tops provide excellent shade for taking a nap since she is not yet a foot tall. She has had it pretty tough since joining us on the farm. The crew, including tater, has been starting work at 6 am this week to avoid some of the heat. Even with temperatures in the 90s and lots of humidity, the attitudes have been great. I have been in South Dakota this week at a national conference for Agriculture Agents and our kids have gone to their grandparents, which means Ryan has been a bachelor. While this may sound relaxing to some, for Ryan, it has meant the opportunity to get more farming done! 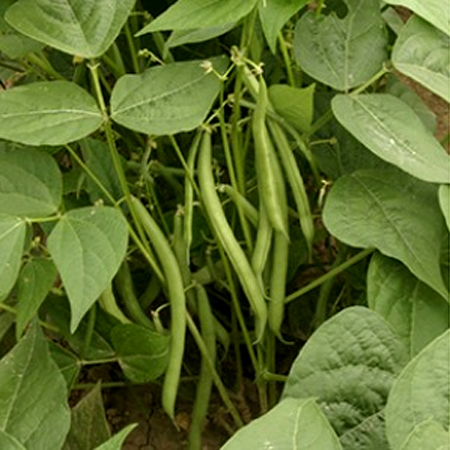 Every year there is a constant weed pressure on the farm. 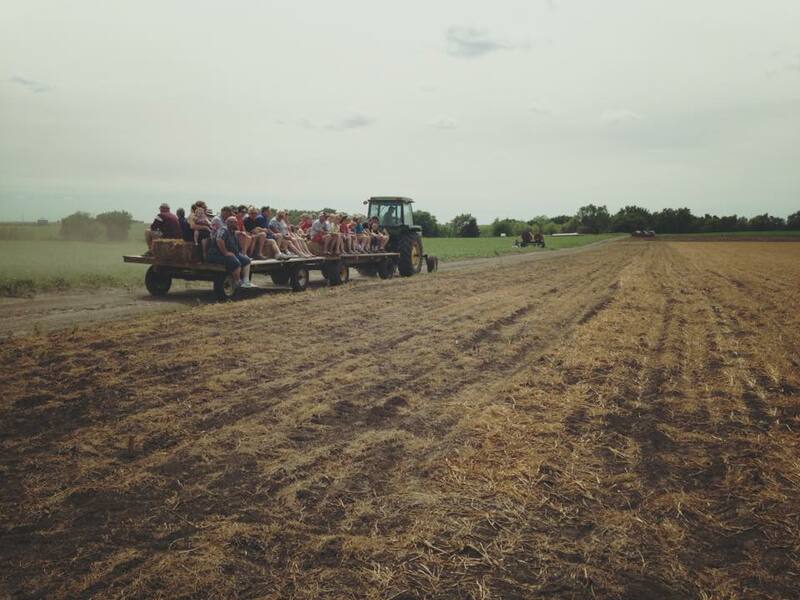 After three hours of hoeing in the heat yesterday, feeling ready to pass out from exhaustion, one member of the crew, Courtney, said “you have to have an eye for the weeds,” which I think is the equivalent to saying sometimes, “you can’t see the forest for the trees.” – Our crew is wise beyond their years. Everything on the farm looks beautiful after it’s been hoed. 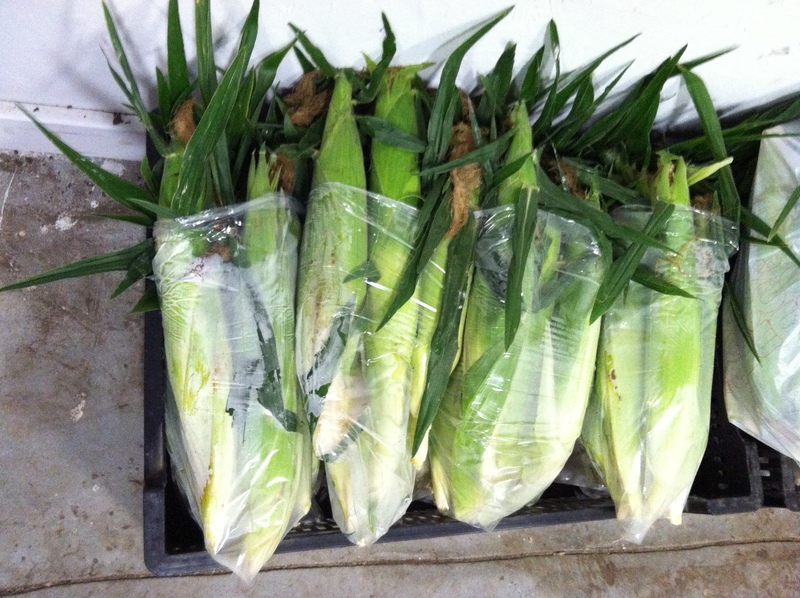 We are excited to say that we have started picking in the sweet corn patch this week, so there will be some available at the Seward farmer’s market starting tonight. For three weeks, we’ve been saying that we were going to have to start irrigating potatoes if we didn’t catch a rain. 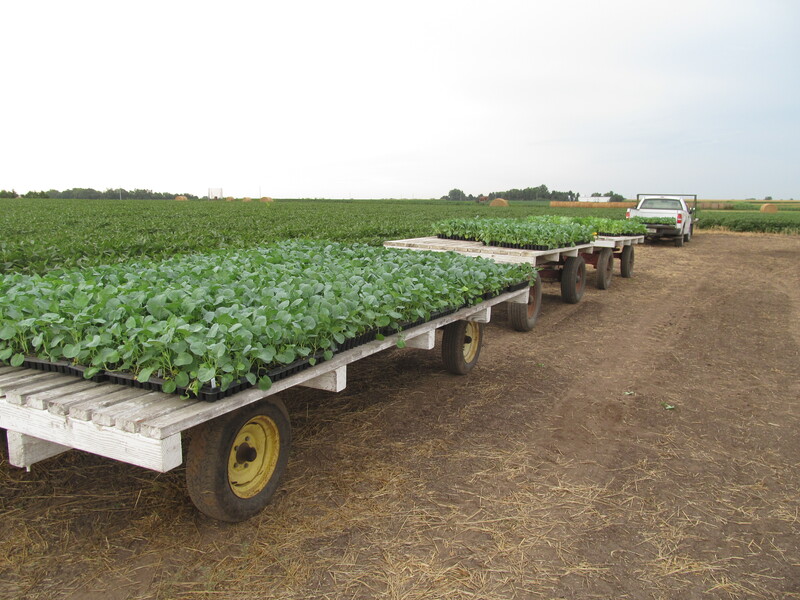 This week, we finally started irrigating potatoes. This means Ryan and crew have been moving pipe and checking irrigation. It’s amazing how easily you can turn on the water, walk away, and forget that you are irrigating until you are lying in bed. 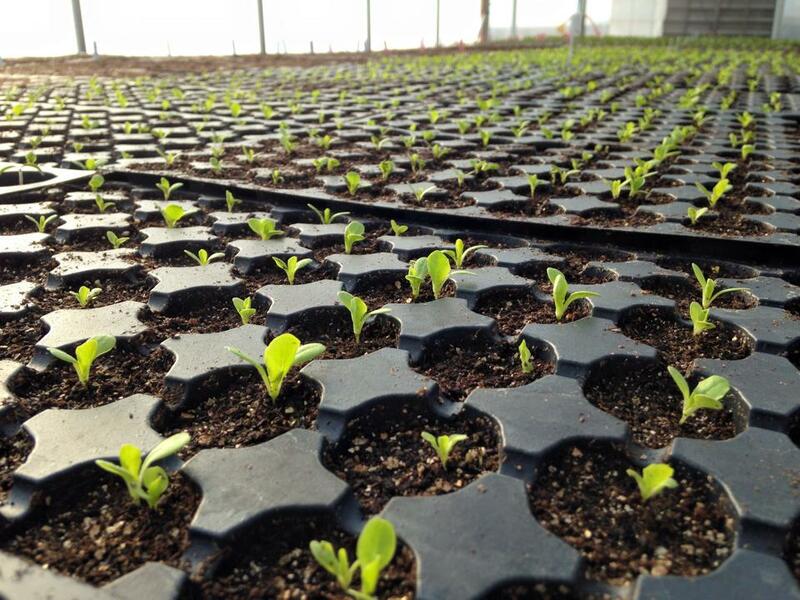 Some of those transplants we are growing in the greenhouse have been transplanted this week, mostly cabbage. Today the crew seeded zucchini, cucumbers, squash and cantaloupe. 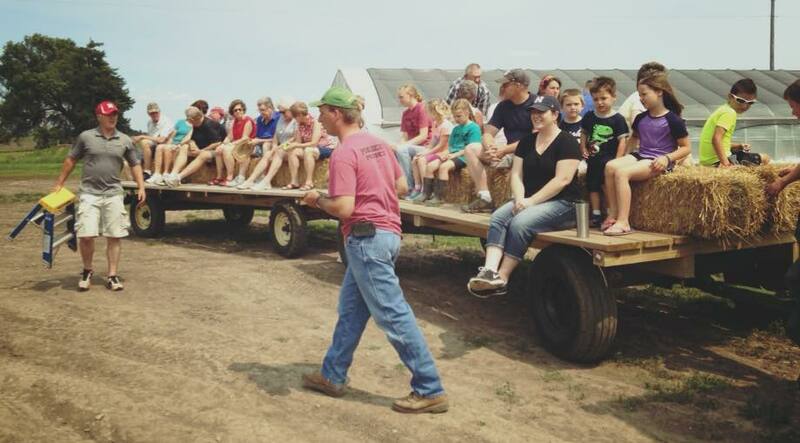 Thank you to all of you who were able to come out to the farm on Sunday for our farm tour. We had an amazing turnout and a great time! As usual, there are many activities happening on the farm. Quite a bit of time is dedicated to harvesting and washing produce at this point. We are starting to dig potatoes. 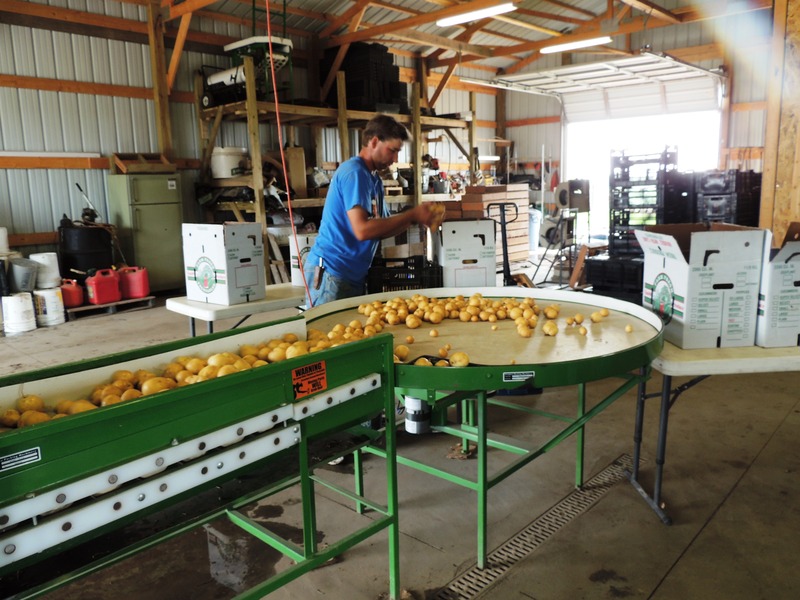 It’s kind of a fun process – we use an old horse drawn potato digger that digs the potatoes, tosses them in the row, and then we come in and pick them up by hand. We grow five different varieties of potatoes, both red and white. In other news… we’ve talked about rain and mud for so long, it’s hard to imagine anything but mud. It dried off quite a bit this last week. We did get 0.40 inches of rain Tuesday night. But as we drove through the countryside we saw farms that are already starting to irrigate. It looks like we will probably follow suit, as we will probably need to start irrigating potatoes next week. 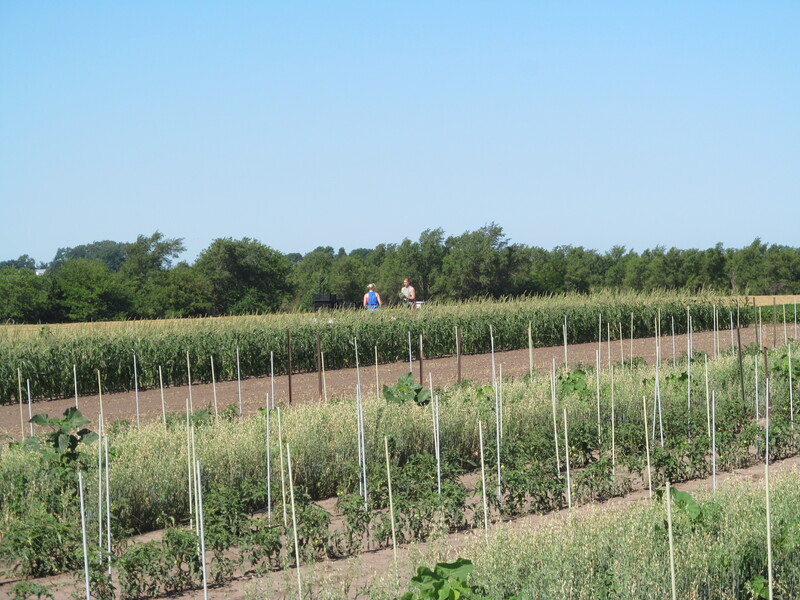 The tour goes by the no till pumpkins – can you see them? They are small. There is a big batch of broccoli and cauliflower in the field that is starting to grow. Sweet corn is coming along and it looks like we will have a limited supply for next week. 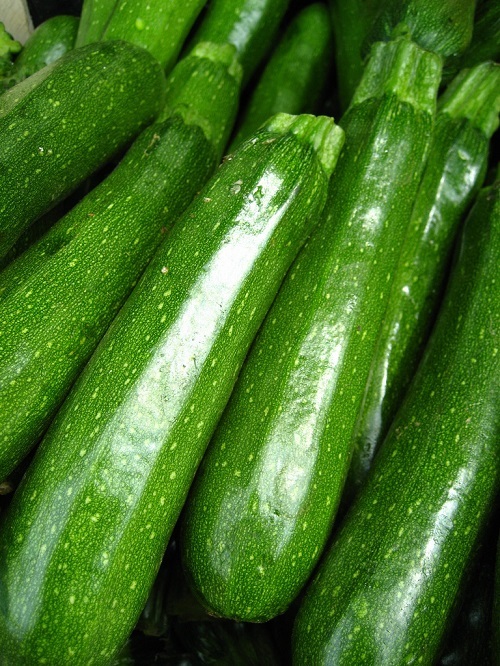 Zucchini are moving forward verrrry slowly – keep waiting, you’ll see some soon. Those pumpkins and hard squash we planted last week are looking nice. Looks like every plant came up. The only little problem we’ve had with them is the ground squirrel who decided to eat some of the seeds in ground. 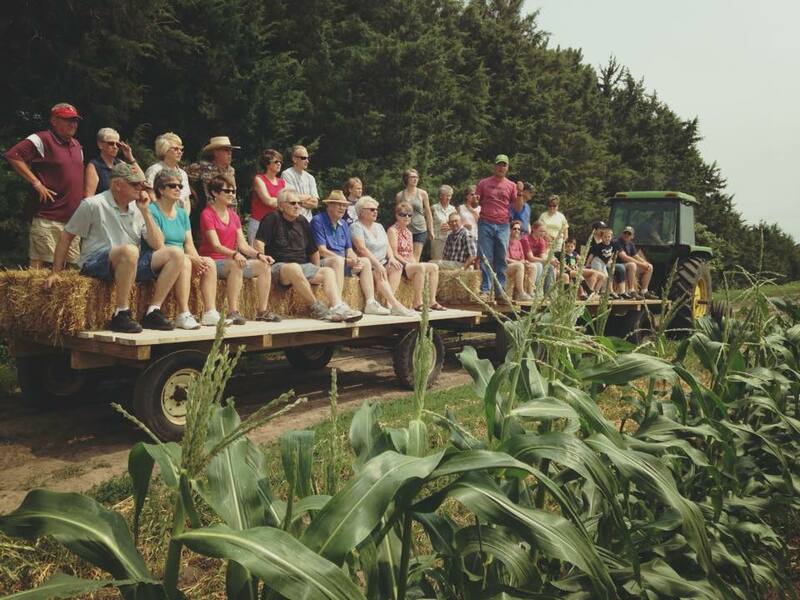 Sweet corn is one of the first stops on the 2015 tour. As always, every week we are working out some mechanical issues. We had to take the big market truck in to get worked on this week, but it looks like it’ll be up and running again by market on Saturday. There were some frustrating issues with tools that hooked up to the tractor, but those looked to be solved as well… for now! 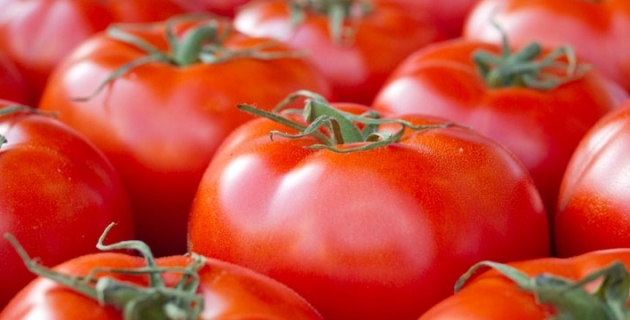 As usual, we hope you enjoy this week’s produce. If you have any questions, feel free to call or email, or drop a note in your bag. 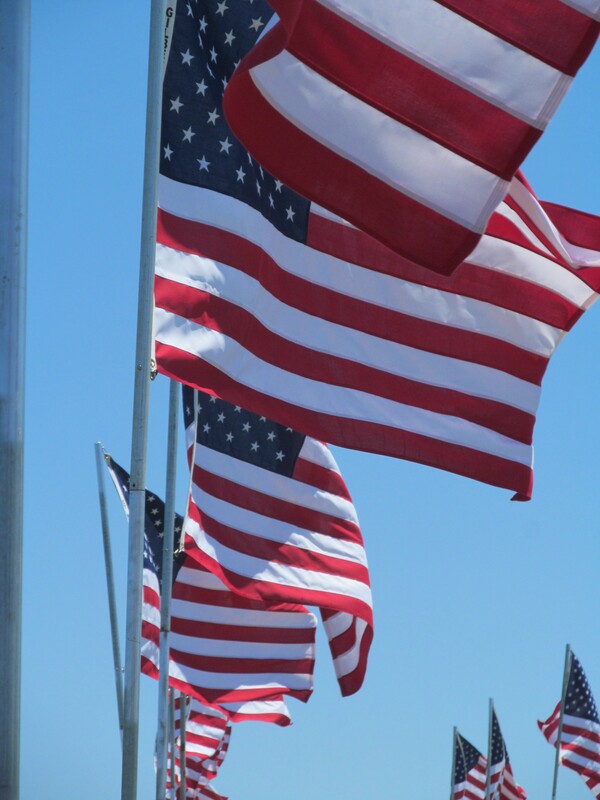 Have a great and safe Independence Day!